Three cancer screening programmes currently exist in Northern Ireland for breast cancer, cervical cancer and bowel cancer. These programmes are run by the Public Health Agency and are free of charge. Cancer Focus NI encourages all men and women to take up the offer of screening when invited to do so. The Breast Screening Programme covers the whole of Northern Ireland. It involves staff from GP surgeries, Health Centres and Screening Units. Women aged between 50 -70. Important note: If you are aged over 70 contact your GP or local screening office to arrange a mammogram. This is a rolling programme which calls women from GP practices in turn every three years from the age of 50-70. Not every woman will receive a letter when they turn 50, but each woman should receive her first invite before she turns 53. Women who are registered with a GP (it is important the GP has the correct patient addresses) will automatically receive an invitation in the post. The result is normal. The woman will simply be invited for routine mammogram in three years’ time. Four in 100 women are called back for a second visit. This does not necessarily mean there is something wrong – 3 out of 4 women recalled are given normal results following these additional assessment tests. Cervical screening in the UK initially started in the 1960s. It has developed over this time into the effective programme that it is today. Women in Northern Ireland are offered screening every three years from the age of 25 to 49. 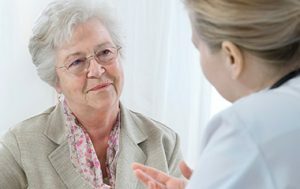 Women aged 50-64 continue to be offered screening every five years. In Northern Ireland the majority of smear tests are carried out in a Primary Care Setting e.g. in a GP surgery/health centre. The vast majority of smear test results are normal (90%). If an inadequate or unsuitable result is reported the woman’s GP will be advised to invite her back for a repeat smear test. If an abnormal result is reported here then a report will be sent to the GP with recommendations as to what would be the best step to take next, e.g. a repeat smear test or referral to a colposcopy clinic. Bowel Cancer screening aims to detect bowel cancer at an early stage in people with no symptoms as this is when treatment is most likely to be effective. Screening may also detect polyps (non-cancerous clumps of cells) that can be easily removed. Regular bowel screening has been shown to reduce the risk of dying from bowel cancer by 16%. Men and women aged between 60-74 years. The Northern Ireland Bowel Cancer Screening Programme offers screening every two years to all men and women aged 60-74. People in this age group will automatically be sent an invitation and a screening kit so that they can do the test at home. Therefore it is important that the person has registered their correct name and address with their GP. The screening test used is called a Faecal Occult Blood Test (FOBT) and detects tiny amounts of blood which you can’t normally see in your bowel motions. The test can also detect other changes e.g. polyps or small tears in the bowel (fissures). Therefore if you are called for further assessment it does not necessarily mean that you have cancer. What happens at Bowel Screening ISL from NI Cancer Screening Programmes on Vimeo. If you want to find out more about the cancer screening programmes available in Northern Ireland contact our free and confidential support Nurseline on 0800 783 3339 to speak with a specialised nurse (Monday – Friday, 9am – 1pm). You can also email us on nurseline@cancerfocusni.org.